The Pink Amazon River Dolphin is one out of five species of freshwater dolphins in the world. Apart from its outstanding colour – mainly due to capillaries that are near the skin (Video.nationalgeographic.com), it ranks the charts for several things. Among all the 5 species of freshwater dolphins, they are the largest in physical size -largest known measurement was 2.5m (WDC, Whale and Dolphin Conservation), and also the smartest – having a brain capacity 40% larger than that of humans (Dolphins-world.com). What are they threatened by? The Amazon River Dolphins, also known as Boto, are found in the Orinoco and Amazon River basin. Although the current status given by the IUCN is ‘Data Deficient’ in 2008(Iucnredlist.org), there are many known threats, mostly due to man, to these endangered species – classified as vulnerable until 1996 (Iucnredlist.org). 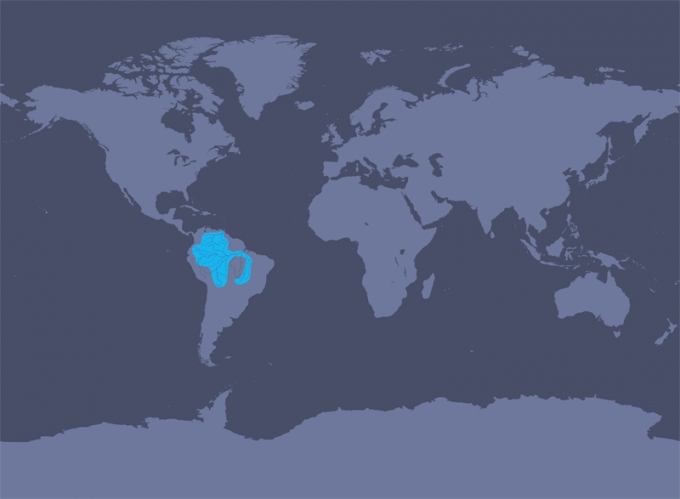 Pollution of the Amazon River – from organochlorines and heavy metals (Iucnredlist.org). These pollutants weaken the immunity of dolphins to diseases, leaving them more susceptible to infections(International Rivers). New facilities such as dams and hydropower – an intrusion to their natural habitat influences a variety of factors such as feeding sites (fish). A physical barrier blocks fish migrations (International Rivers) that are important for spawning and rearing, this ultimately affects populations of fish that these dolphins feed on. More importantly, the barrier directly cuts off fresh supply of materials by being trapped behind its high walls, depriving deltas, floodplains and coastal wetlands of their much needed maintenance supplies. This brings up a controversial issue of the establishment of dams and hydropower in biodiversity rich areas like the Amazon. Countries like Brazil are highly dependent on hydropower to generate electricity to support the current demand by their population (Koch). The Amazon River Dolphin is just one of the thousands of species found in the rich habitat of the Amazon. Should our wildlife be sacrificed at the expense of our needs? WDC, Whale and Dolphin Conservation,. ‘Boto (Amazon River Dolphin)’. N.p., 2015. Web. 15 Sept. 2015. Dolphins-world.com,. ‘Pink Amazon River Dolphin – Dolphin Facts And Information’. N.p., 2015. Web. 15 Sept. 2015. Video.nationalgeographic.com,. ‘Pink River Dolphins’. N.p., 2015. Web. 15 Sept. 2015. Iucnredlist.org,. 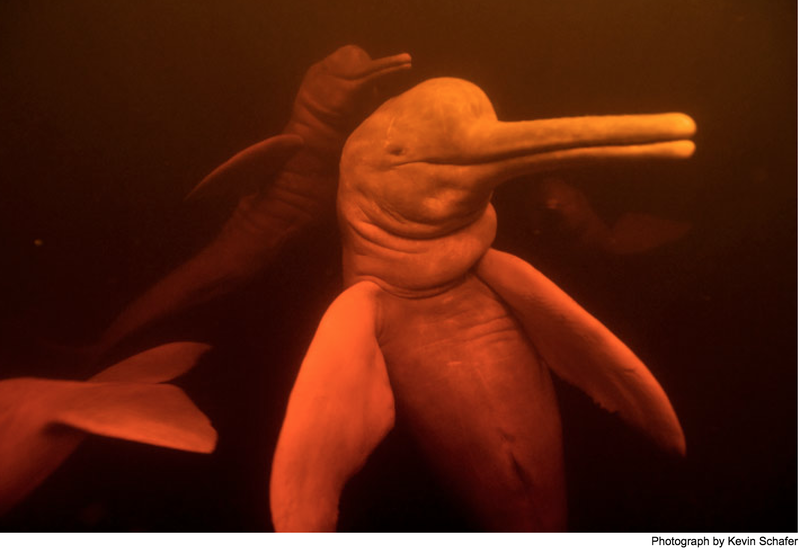 ‘Inia Geoffrensis (Amazon River Dolphin, Boto, Boutu, Pink River Dolphin)’. N.p., 2015. Web. 15 Sept. 2015.
International Rivers,. ‘Environmental Impacts Of Dams’. N.p., 2015. Web. 15 Sept. 2015. Koch, Wendy. ‘Amazon’S Wildlife Threatened By Hydropower Dams, Study Says’. News.nationalgeographic.com. N.p., 2015. Web. 15 Sept. 2015.
International Rivers,. ‘River Dolphins: Can They Be Saved?’. N.p., 2015. Web. 16 Sept. 2015.